From the first call I was treated with respect and REALLY listened to, all the way through the day the installers and plumbers were here. Deborah took the extra time to work with me because I had an existing granite island that needed to match the new granite. The three other contractors that I did NOT use just wanted to hurry me to a decision that would have cost hundreds more. I really appreciated that extra effort and I am so pleased with the other solution she helped me with in regards to the tops in the additional bath rooms. Our house feels like a fancy vacation home now. This turned out extremely well! I’m extremely pleased with the service and product. Everything was as they advertised and then some. They advertised for 40 sq. ft. of granite and gave me more choices of granite. They included a sink, which is something they do routinely. I needed more square footage than what the deal covered but they gave me a great price. I had a lot of interaction with the company. I was able to go look at the granite at the warehouse and they let me pick the exact piece of granite I wanted to use. They were always on time and went out of their way to explain how everything would work out and what they would do. They delivered the product within the time allotted, about 10 days. They were very respectful when they came out to install. It was a very nice experience overall!  James River Granite is an amazing company to work with! Deborah was incredibly helpful and professional. They did all of the counter tops in our new kitchen in granite, and also installed a silgranite sink. We absolutely LOVE the countertops and the sink! They were on time and did a great job on the installation. Their pricing can't be beat in my opinion. They were just an absolute joy to work with. I would recommend them to anyone who is doing a kitchen/bath renovation, or building a new home. Great company!! First someone came out to go over the kitchen design with me. She was very professional and knowledgeable and helped me pick a sample that I loved! Next another person came out to measure he was also very professional and pleasant, he worked efficiently and was very thorough. It then came time for the install which went very well. I expected it to be inconvenient and it wasn't because the installers who were also very professional and knowledgeable worked with the schedule and were able to get it all done in one day including the sink install. They were very hard working and efficient. It was obvious that they had a great deal of pride in their work because they did a quality job down to the most minute detail. Excellent workmanship and service this company gets an A+. If I ever need granite again I would use them in a heartbeat. Beautiful results! We are on Lake Gaston NC, an hour plus travel time from Richmond or Raleigh so we shopped around in both cities, as well as the local Lowes and Home Depot stores before deciding on James River Granite. It was the right decision. The results are stunning. Our initial phone and e-mail exchanges with Debra to scope the project, confirm we were in their service area, pass sketches and dimensions, and get an estimate were answered promptly and accurately. The job would need 2 full slabs. We decided to proceed further with James River Granite and happened to be making a trip thru Richmond then next day and wanted to look at full slabs, not just samples. Despite the short notice, Debra accommodated our request and met us at their suppliers warehouse. It was a great experience. First, we indicated that we wanted something more complex in pattern (called "movement") than the base price slabs and she guided us thru a huge warehouse, offering sound advice and ideas. We wanted the 129" long x 53" wide island to be made from one slab, which limited our selection. Once we narrowed our choices to two different patterns, she arranged for the local staff to move 2 slabs of each so we could view them side by side. We made our selection then Deborah used our dimensioned sketches and marked off the counter tops with blue tape so that we could see how the stone patterns would appear. It was a great technique. The norm would be for us to have gone back to their fabrication shop before cutting but because of the distance she worked it thru in great detail with us. One suggestion Debra made was on how to get the backsplash cut from the same segment as the counter so that the pattern continued up the wall. And she did so in a way to avoid waste and keep it to 2 slabs, not 3. While we waited, she then calculated the final price for the exact fabrication with the requisite cuts for the pattern, sinks, stove, outlet and faucet holes as well as demolition and removal of the existing countertops. They came out to the house within a week to make detailed templates, arriving as planned--no missed appointments. Because of the size of the island and weight of the single piece of granite a crew of six came out for the installation--including Ron, the owner. They were very careful of our home, cabinets and hardwood flooring during demo and installation. Final cuts for the stove were made outside so that the slab would not crack in transit. They ran the shop vac next to the bit while drilling faucet holes to keep the dust down. Very professional. We were especially impressed with the seaming of a 12' run of counter in the midline of the sink. Despite a complex stone pattern with "movement" the selection where to make the cuts and then and final fit and finish of the joint is unnoticeable. When done they painstakingly cleaned up the kitchen and scrubbed and polished the stone. We are very pleased with the outcome, the high quality of material and workmanship, and fully recommend them. This is a small family run business and attention to detail and professionalism is what gets them business, not mass marketing. Blown away by our counters and backsplash! These guys are very professional and helpful guiding you through the process. HIGHLY recommend them for any needs you have. We had the best experience with James River! They helped us to select and install two countertops in our Walton Park home. We are so incredibly happy with them! Professional, friendly, and affordable.